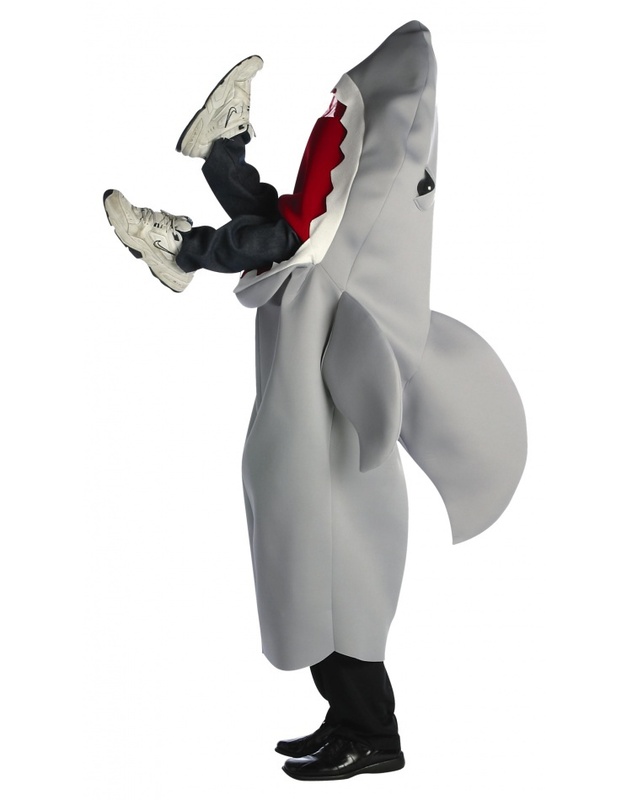 Includes a full body shark costume with fake legs sticking out of shark's mouth. 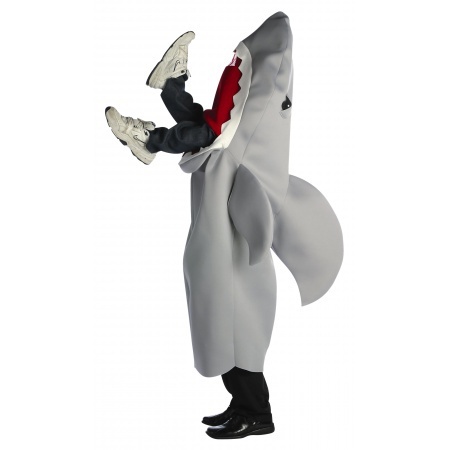 This shark attack costume comes in adult size One Size. A clever costume for adults that gives the illusion of being swallowed by a shark. The pants are not included in the set.